Description: The Cabanas Hotel at Sun City is the most affordable hotel designed for fun family vacations, from the cheerful décor to the informal atmosphere and generous buffet breakfasts. The Cabanas is located near popular outdoor activities and offers a total of 380 rooms, each featuring Wi-Fi, tea- and coffee-making facilities, air conditioning, a safe and television. 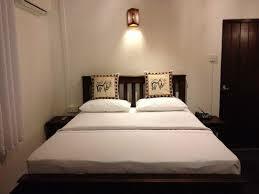 Most rooms have twin beds or a double plus a sleeper couch and three rooms are wheelchair-friendly. All rooms have en suite bathrooms, most with a bathtub and shower. The Cabanas does not offer in-room dining but all rooms have beverage stations.